CJJ offers numerous training opportunities on emerging trends, best practices, public policy, leadership development, and critical legal issues in juvenile justice. 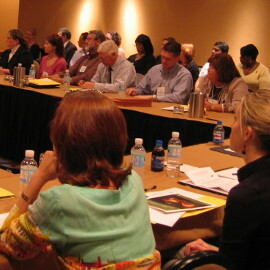 Our national and regional conferences, webinars, live chats, and technical assistance programs feature subject matter experts and will engage and empower CJJ members, partners, and allies to become leading voices on state and national juvenile justice and delinquency prevention issues and policies. Learn more about future webinars and trainings. You can also access PowerPoints, recordings, and resources from past webinars, including 2015, 2014, and 2013.